Correction: A previous version of this story was incorrect about the Chronicle Herald’s Bridgewater office. The Herald has an office in the Bridgewater Mall. We apologize for the error. 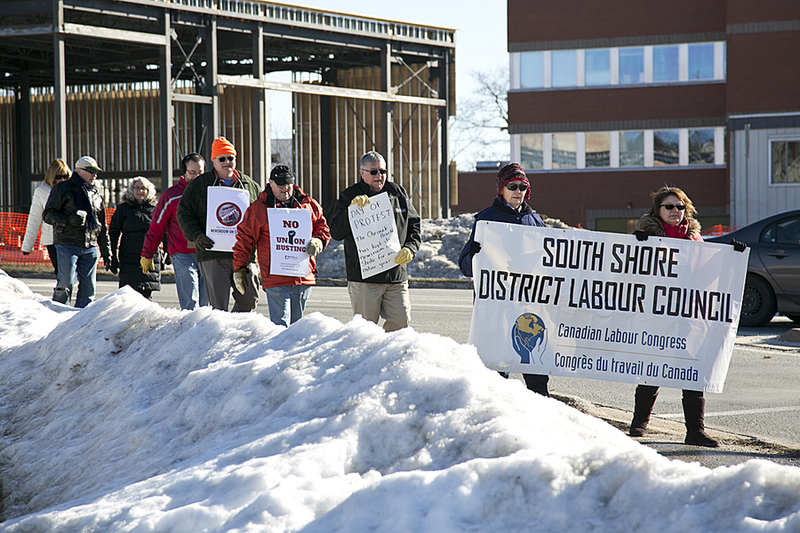 The union representing Chronicle Herald staff marked one year on the picket line with rallies across Nova Scotia, including one in Bridgewater. Informal talks resumed between the Halifax Typographical Union (HTU) and the Chronicle Herald on January 20, and continued through the weekend and up until the strike anniversary on January 23. A hearing regarding a complaint about unfair labour practices was scheduled for the anniversary date of the strike of 55 workers from the Herald&apos;s newsroom, however the hearing is postponed for two weeks now that the two sides are in talks. But a year on the picket line is taking its toll. The union has lost six staff members to other jobs, and some to other local media outlets. Frank Campbell, vice president of the local HTU, says that strikers are becoming tired, "yet their resolve seems surprisingly strong." Christine Soucie Madill has been a news editor with the Chronicle Herald for about 28 years, and is a member of the bargaining team. Soucie Madill spoke to LighthouseNOW just before going back to the table with the Herald. "I&apos;m guarded... I&apos;m generally an optimistic person but in the past I&apos;ve been hopeful and that hope has been dashed by the company so I definitely don&apos;t want to go into the talks with any preconceived hopes," she said. "I can say that honestly, I didn&apos;t think it would be a year." The key issues continue to be about job security and keeping their union functional, said Campbell. He says changes requested by the Chronicle Herald would mean anyone could do their job. "We&apos;re very aware of the difficulties all newspapers and other media outlets are facing these days and we had agreed to a number of concessions but the biggest thing was ... to protect our jurisdiction. What they had suggested would have left us with a union in name only," he said. 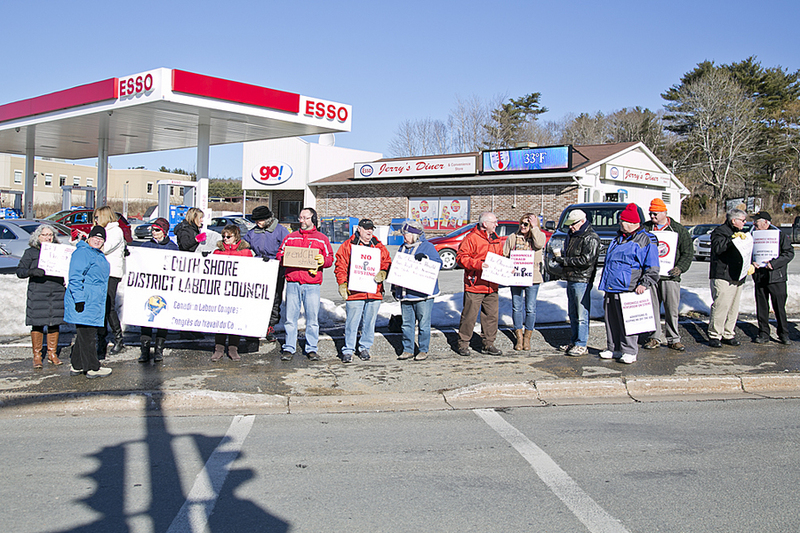 The rally in Bridgewater saw around 20 people gather near Jerry&apos;s Diner on North Street. A spokesperson for the Chronicle Herald told LighthouseNOW last week they weren&apos;t speaking to media at this time.